On January 23, 2019 the Plainfield police Department received numerous 911 calls of gunshots and explosions in the area of Lester Dr., in Central Village, Gendron Road, Barber Hill Road and Sterling Hill Road in Moosup, Green Hollow Road in Plainfield and North Chestnut Street in Wauregan. 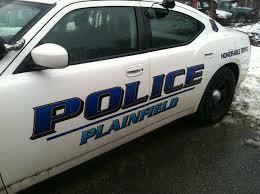 For over an hour, the Plainfield Police Department was flooded with approximately (10) 911 calls along with numerous regular line calls to the PD all stating that either gun shots or explosions were going off. Due to so many occurrences, many residence were able to give a description of a vehicle seen leaving the area after the “explosions” were going off. Officers were in the area of Wauregan when additional calls came in for “loud bangs” and observed a vehicle parked at the Gulf gas station at the intersection of Rt. 205 and Rt. 12 that matched the description given from witnesses. As a result of the investigation, the occupants of the vehicle were found to be in possession of numerous high powered, projectile fireworks which are considered to be explosives. Also located next to the fireworks was approximately 43 grams of marijuana individually packaged in various quantities for sale along with additional packaging material and scales. The occupants admitted to driving around random areas of Plainfield, Moosup and Wauregan setting off the fireworks. Jacob Rampulla, 19, of Plainfield was charged with Possession of Marijuana with Intent to Sell, Breach of Peace and Use and Possession of Fireworks. The Passenger and driver of the vehicle, Jamie Brodeur, 20, of Dayville, and a juvenile were also arrested and charged with Breach of Peace.